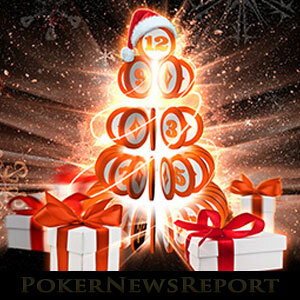 Party Poker has announced an amazing free-to-enter “Twelve Days of Christmas” promotion in which players will win prizes every day for twelve days. Out of all the poker site promotions running this festive season, Party Poker´s “Twelve Days of Christmas” has to be the best. Every day from December 25th to January 5th, Party Poker will be giving away free gifts, cash prizes, tournament entry tickets and reload bonuses every day – to every player! In order to win a prize, all players have to do is log into their Party Poker account and go to the “Rewards” section of the poker client. Then they have to click on “Promotions” to reveal a “Twelve Days of Christmas” click-card, and click on the card to reveal their prize. There are no missions to complete, no points to earn and no deposit required. Entry is free and every player wins a prize every day. What Will Party Poker Give You this Christmas? In order to get players involved early in the promotion, December 25th and December 26th are the days not to miss. Over the two days, Party Poker will be giving away a $2,500 darts package to the US Darts Masters Final, a signed pair of Carl Froch boxing gloves, a Phase 1 entry into the Party Poker Millions (worth £550.00), signed copies of Mike Sexton´s “Life´s a Gamble” book and much more. 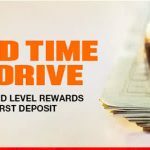 Other prizes – both on Christmas/Boxing Day and throughout the rest of the promotion – include cash prizes of between $1.00 and $100.00, reload bonuses, free sports bets and casino bonuses, and entries into four freeroll tournaments that have cash prizes of between $1,000 and $5,000. These will be played on 7th and 8th of January. 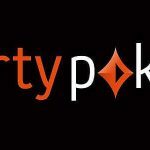 Once players have logged into their accounts, Party Poker is offering extra incentives to hit the tables. The Christmas Points Party promo awards double and triple Party Points on selected days, while players completing selected missions will play off against each other over a series of four freeroll tournaments for the chance to play Boris Becker heads-up for $25,000. December 25th – Get triple points on Christmas Day for the rake you pay when playing on your mobile (00:00 – 23:59 CET). December 26th – Get double points for paying rake on Boxing Day from the desktop client (00:00 – 23:59 CET). December 31st – Celebrate New Year´s Eve with double points when you play from the desktop client (00:00 – 23:59 CET). January 1st – Start the New Year off with triple points for the rake paid when playing from your mobile (00:00 – 23:59 CET). Players have four missions to complete before Friday 6th January. Each mission comprises of three elements. 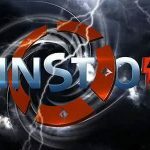 Players who complete each mission will be awarded a seat in its corresponding freeroll tournament with a $5,000 cash prize. Players are awarded points according to their finishing positions in each of the four freeroll tournaments. The player with the highest number of points is flown to a luxury destination to play Boris Becker heads-up for $25,000. Full details of the Beat the Ace promotion can be found in our dedicated article from earlier this week. 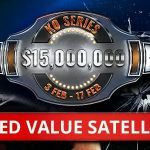 The Title Fight (8:00pm CET) – For one night only guaranteed for $500,000 with the same regular buy-in of $215.00. The Uppercut (8:00pm CET) – Guaranteed doubled for this side event to $100,000 for the same buy-in of $109.00. The High Roller (8:00pm CET) – Get your gloves on to battle for another doubled-up guarantee of $100,000. The Late Roller (10:00pm CET) – An extra 6-Max High Roller event (buy-in $530.00) guaranteed for $20,000. The Phase 1 entry into the Party Poker Millions will go to the player who knocks Carl Froch out of the Title Fight event (on top of bragging rights). Low buy-in satellites for these four events are already running at Party Poker if you feel you will have had enough of talking to your family or watching the TV by Boxing Day. It is going to be a superb festive season at Party Poker. Make sure you are part of it by logging into your account every day and taking part in the superb promotions and wonderful opportunities being offered by the site. As we state in our review of Party Poker, there´s really nothing that Party Poker doesn´t do well and it will be no different over the Twelve Days of Christmas.